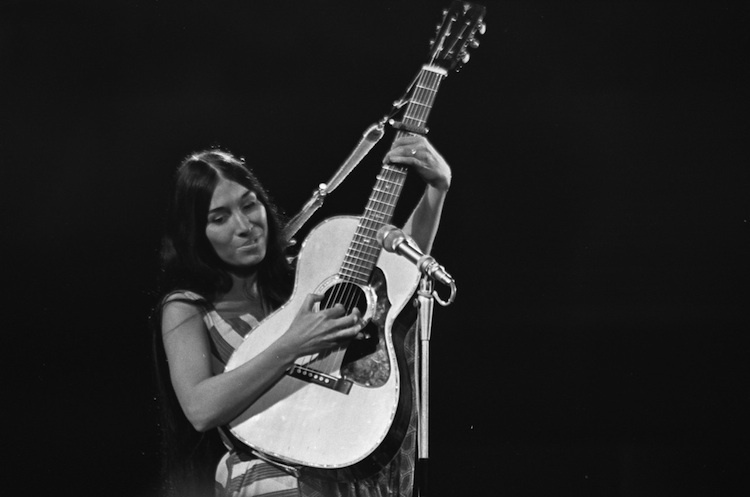 Buffy Sainte-Marie, OC (born Beverly Sainte-Marie) is a Canadian Cree singer-songwriter, musician, composer, visual artist, pacifist, educator, social activist and philanthropist. Throughout her career in all of these areas, her work has focused on issues of Indigenous peoples of the Americas. Her singing and writing repertoire includes subjects of love, war, religion, and mysticism. Her music might generally be categorized as folk and traditional music, though she did record one mostly country album, I'm Gonna Be a Country Girl Again, in Nashville. Some of her other songs have more modern popular sounds. Her work has been covered by such diverse musicians as Elvis Presley, Barbra Streisand, Neil Diamond, Neko Case, Janis Joplin, Chet Atkins, The Indigo Girls and Joe Cocker. She is also responsible for Cradleboard Teaching Project, an educational curriculum devoted to better understanding of Native Americans. She has won recognition and many awards and honours for both her music and her work in education and social activism.